A truly luxe boutique hotel with all the modern amenities you’d expect from a 5-star hotel - with sea views from every room to boot. And style in the hotel name is definitely not a misnomer. The interior is all clean lines, bright pops of color, crazy-big windows and luxurious bedding. The hotel staff is exceptionally welcoming and eager to help and the in-house restaurants, spa and gym are so amazing, you may never want to leave! 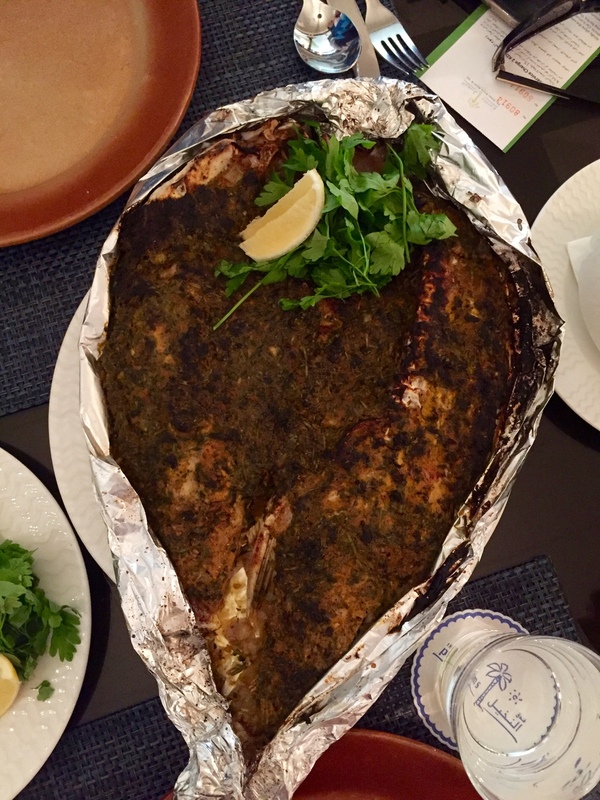 If you’re looking to get a dose of “old Kuwait” with a side of fresh fish, make sure to get dinner at Muhallab Restaurant in the Palms Hotel. The restaurant is furnished in dark wood with its servers dressed in traditional uniforms and old sea music playing on loopover the speakers. It’s a completely different experience than so many of the upscale, contemporary restaurants in the city- more history than glitzy - and a nice change of pace. 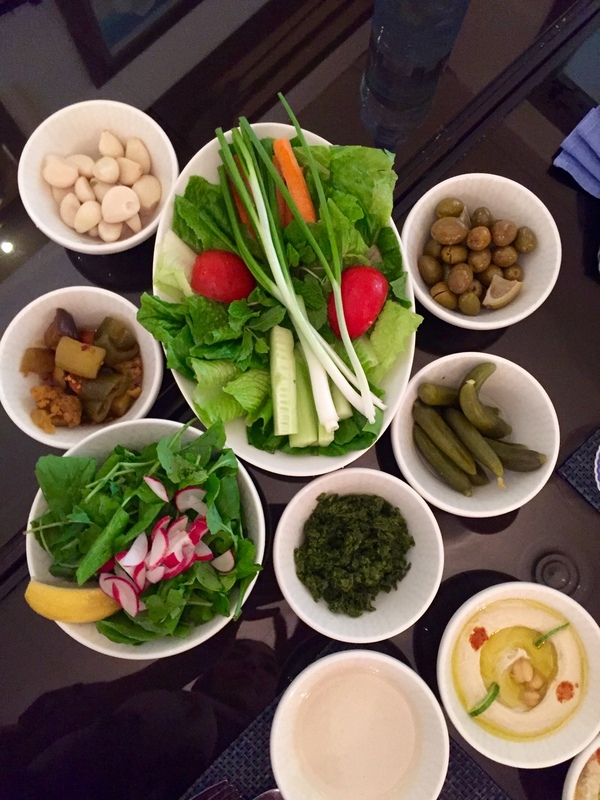 Get ready for the best meal of your entire stay in Kuwait! A favorite among locals and visitors alike, the Fish Market is a culinary delight with the day’s freshest catches and spot-on cooking. Lots of little dishes full of fresh veggies, herbs and other accoutrements appear on your table alongside a perfectly cooked, moist and flaky fish wrapped in foil to keep it warm— it’s a as much an experience for your eyes as it is your tastebuds! Billed as “an urban monument that symbolizes Kuwait’s economic renaissance,” they are one of the city’s most popular tourist attractions as well as a beloved marker of progress to locals. The globes house a series of restaurants, cafes, viewing decks and reception halls. Stop by for breakfast and to get that ace Instagram shot or walk the grounds during the evening hours; they’re especially spellbinding at night, all glowy and dramatic. Take a brief respite from the glitz and glamour of the city and steal away for an afternoon at the Six Senses Spa. Offering everything from a traditional Thai massage to a full “Hammam Journey” full-body mask, you can indulge as little or as much as you would like. Mixing natural surroundings with modern fixtures, the spa feels like a private oasis- you can feel yourself relax the moment you step through the doors. Head over to the oldest market in the city to stock up on spices, grab a coffee and wander the stalls, trying out cheeses, fruits and veggies from the different stalls as you go. Visiting the souk is a must-do for anyone looking to get the full Kuwait experience; with over 100 individual stalls, you’ll definitely find something you like and get a taste of the local culture - literally! With a modern-industrial vibe that is reminiscent ofNew York City’s beloved Chelsea Market, Masaha 13 has deftly captured the vibrancy and excitement of Kuwait’s progressive young professional crowd. A self-proclaimed “community space with a focus on the arts and culture of the Middle East,” the space hosts workshops, sponsors public art initiatives, includes a co-working space, and has a variety of cafes and shops to grab a coffee and explore.